A few weeks ago, Amanda from Beauty Green Cosmetics contacted me. She has just launched her own store of hand made organic makeup, and reached out to tell me that she was originally inspired by some of my recipes. Not only was a flattered, but I was touched by Amanda’s desire to create these beauty products so that people going through Chemo Therapy would be able to use them without spending an arm and a leg. I didn’t realize there was such a need, and I am impressed that she’s decided to fill it. 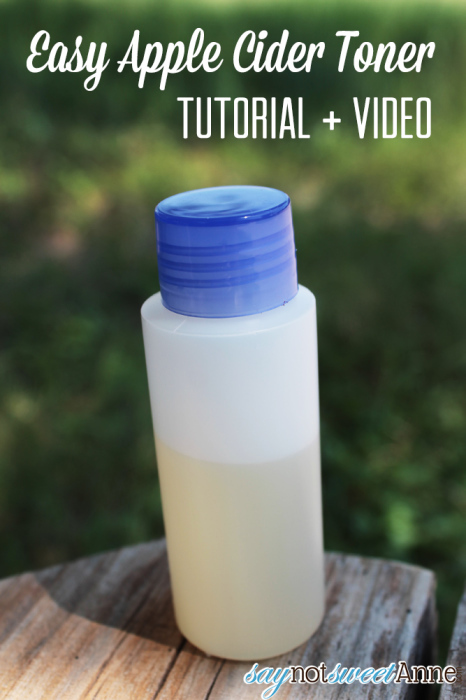 Amanda offered to share her recipe for Toner here, and to sponsor a giveaway of several of her new products!! Don’t forget to sign up for the giveaway at the bottom of the post! If you find this combination stings your skin too much, try adding more witch hazel. If you feel little or no tingling at all, add more apple cider vinegar. Witch hazel is a natural anti bacterial and can help to reduce pore size while tightening and firming the skin. Apple Cider Vinegar will balance the pH levels in your skin that can be thrown off balance by your soap, the air, the impurities in your environment, the food you eat, etc. The essential oils can help to soothe and treat any skin issues you have. (Tea tree, for example, is great for treating acne and Lavender is very soothing on irritated skin.) Be cautious when using citric EO’s. They’re GREAT for treating skin issues but they can leave your delicate canvas more susceptible to the sun. You’ll notice results with this product within a few days or less! Be happy, and naturally beautiful! Now for the giveaway! Amanda is giving away one complete gift basket of several of her products. The winner will receive their choice of foundation color, their choice of blush color, small blue pod of (2oz) Dreamy Creamy moisturizer, the brand spanking new bronzer and the Minx Mascara. All of these items are customizable for skin type. Check out the Beauty Green Website for even more products!! The bronze looks like something I would try or the deodorant. Diane @ Vintage Zest recently posted..Spoon Me Sweetly feature & GIVEAWAY! Awesome! I have tried the mascara it’s incredible! I hope to try more products soon! I have really been trying to use more organic products, not just from the grocery store but also including my makeup. This cosmetic line sounds fantastic! Chic Cheek Blush looks so sweet! Would love to try it and love the packaging! I’d love to try the “Laughing Brandino” Blush. I have very sensitive skin, and break out into a rash with some of the simplest commercial products. I wonder how your makeup and deodorant work with my skin type. Amanda’s products are specifically formulated for each skin type. Be sure to check with her about her products and your sensitive skin! Michelle, we have had SO many success stories with ultra sensitive skin. Check the ingredients list on each of the products to make sure you don’t have related allergies before you purchase. I can’t wait to try and make this! thanks for the giveaway! I want to try all of these products. Dreamy Creamy and the mascara! I love the bronze beauty foundation! Excited to try any of these, but probably more so the foundation. Thanks for having the giveaway! I’m so excited to try DIY makeup! Looking forward to trying your products. I’ve been under the weather and not been wearing make up. Time for that to change! I would love to try the foundation. Would the toner mix be suitable to use during pregnancy? I havd some serious acne issues recently! The only thing I would check on is the essential oils. Some are pretty powerful and might not be recommended. That said, you could make this recipe without the essential oils, or try my Anti-Acne Thyme Toner. Witch hazel and the vinegar should pose no problem for pregnancy.